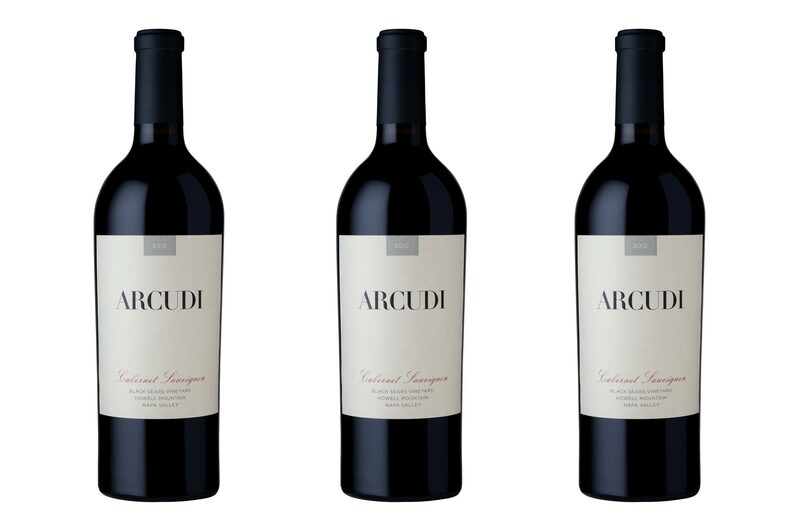 Arcudi is the personal brand of Napa-based winemaker Tony Arcudi, producing small lot ultra-premium Cabernet Sauvignon from Napa Valley’s Black Sears Vineyard on Howell Mountain. 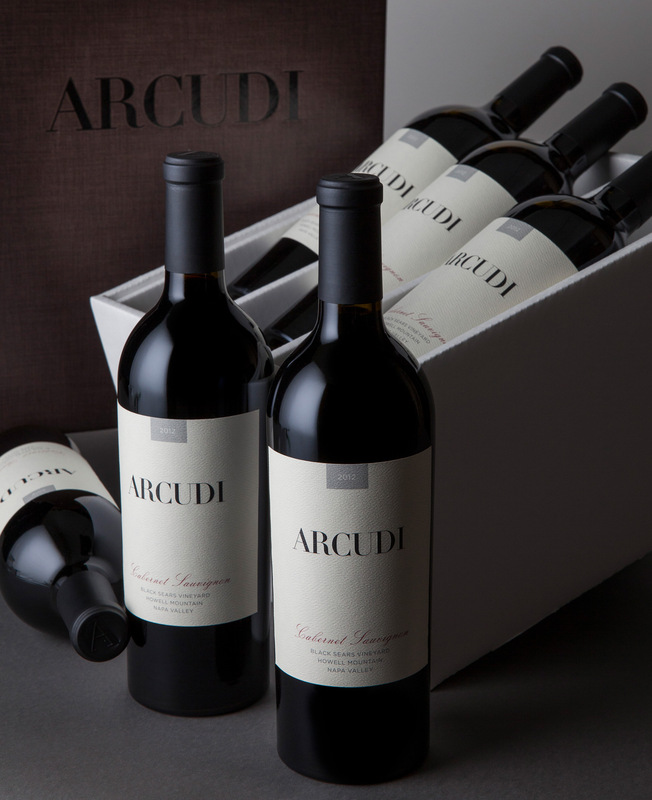 Arcudi wines express the unique character of the soil profile, climate, and elevation of their single vineyard sites, and create an alchemy of complex flavor and personality. 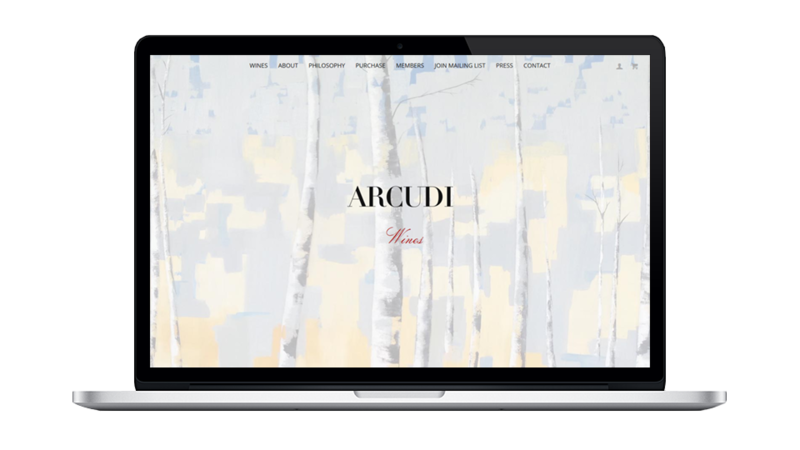 Develop a brand identity for Arcudi that communicates the seriousness, prestige, and exceptional quality of the wine. 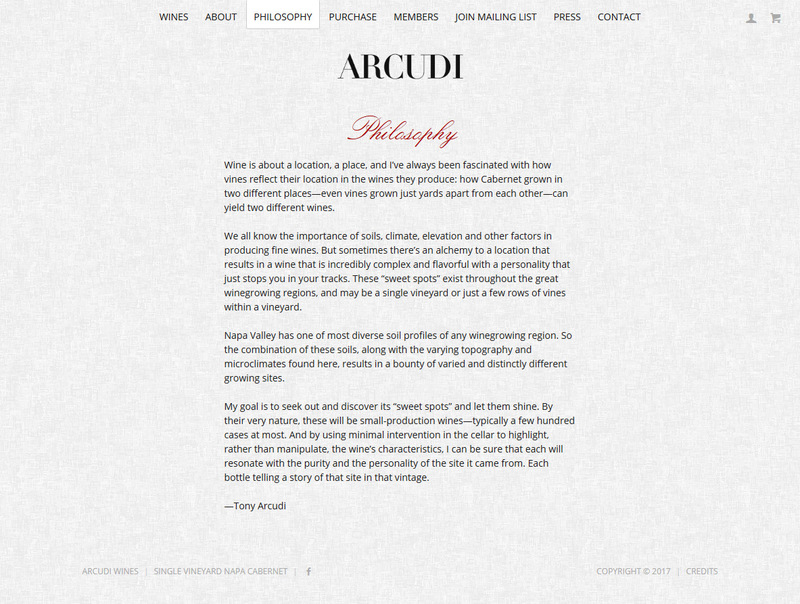 Present Arcudi as elegant, refined, detail oriented, and uncompromising in quality — a modern classic. Establish a clear and unique brand image and promote consistent visual communication across all media. Consider brand strategy touch points including marketplace positioning and target consumer profile. 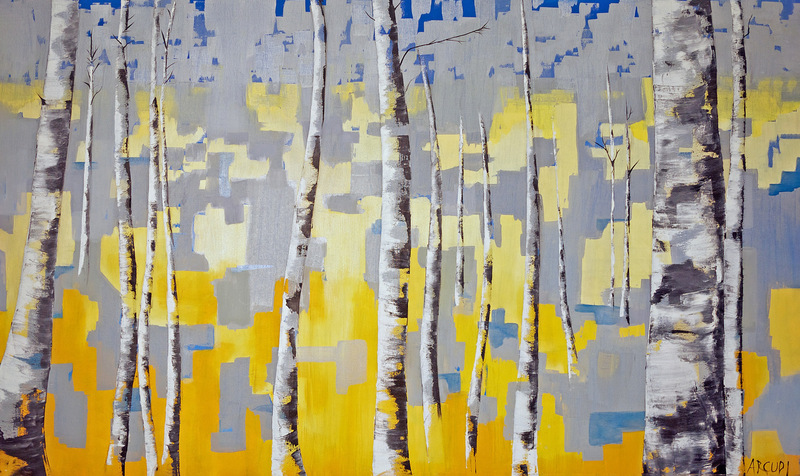 I’ve been working with Vin since the launch of the brand. 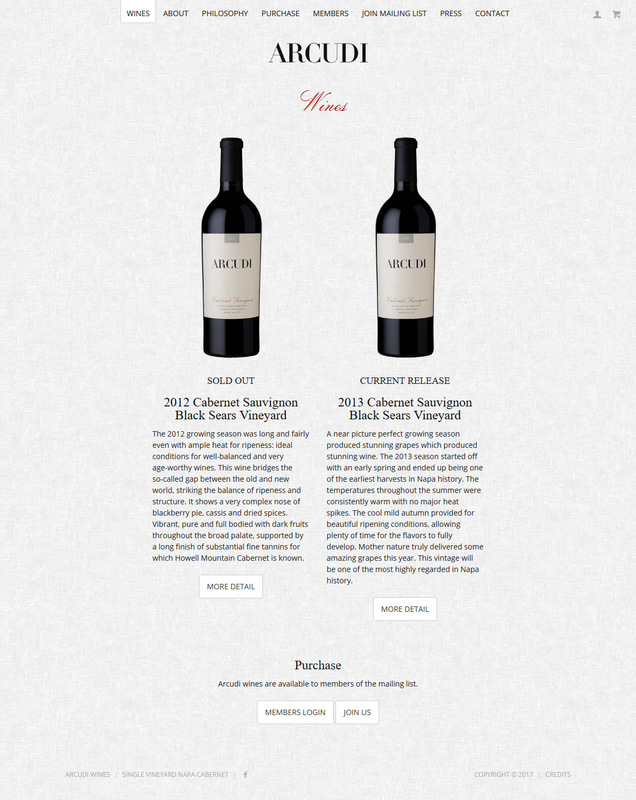 Jon quickly understood what I was looking for in both the look and feel of the label and the website. I continually get compliments on both. 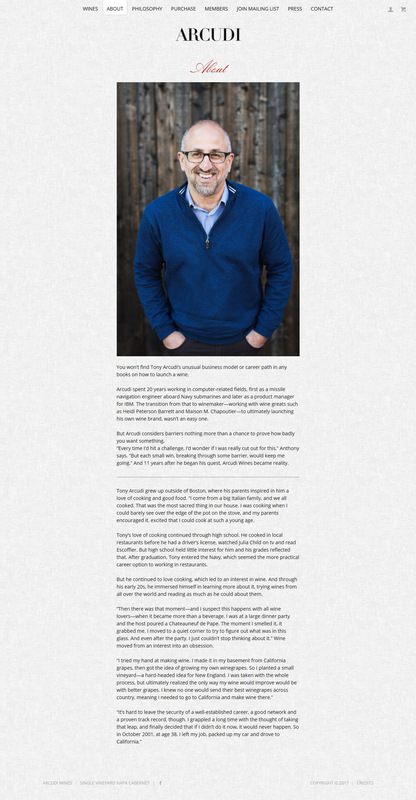 We have been working together over the years and continue to fine tune and make changes to the website. Jon responds to my requests quickly, offers great advice and then implements the changes instantly.